To manage team competitions, follow the steps given below. 3. Navigate to the Competitions tab. 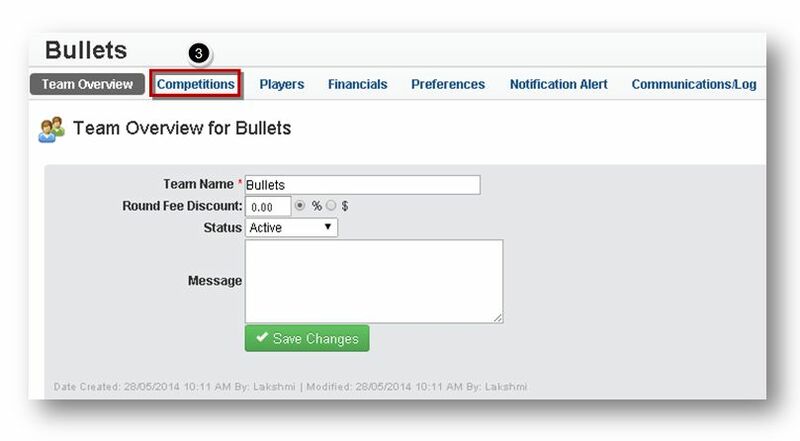 The Competitions section of the page will be displayed. From here you can add, edit or remove teams. For more information refer to the following section.